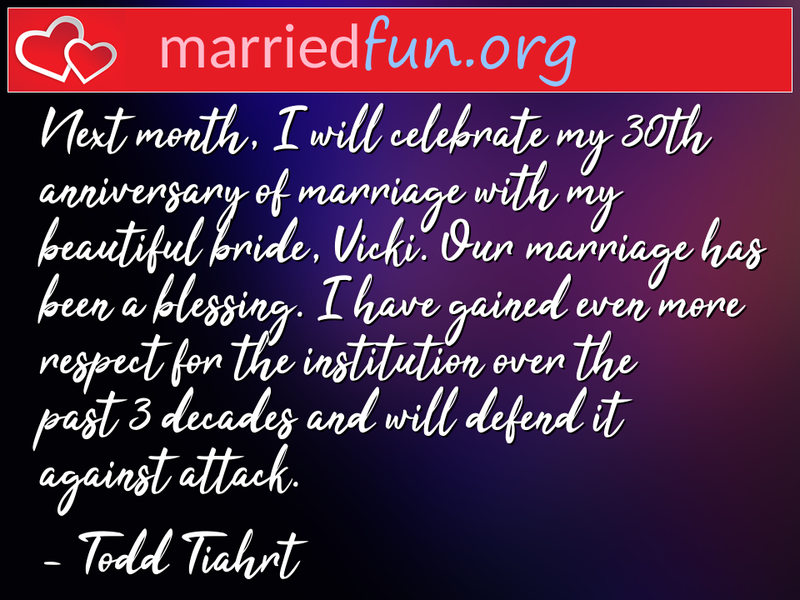 Marriage Quote - Next month, I will celebrate my 30th anniversary of ... - Married Fun! Next month, I will celebrate my 30th anniversary of marriage with my beautiful bride, Vicki. Our marriage has been a blessing. I have gained even more respect for the institution over the past 3 decades and will defend it against attack.